NTT Inc. - National Electric Code 2017: What Does it Mean for Industry Safety? 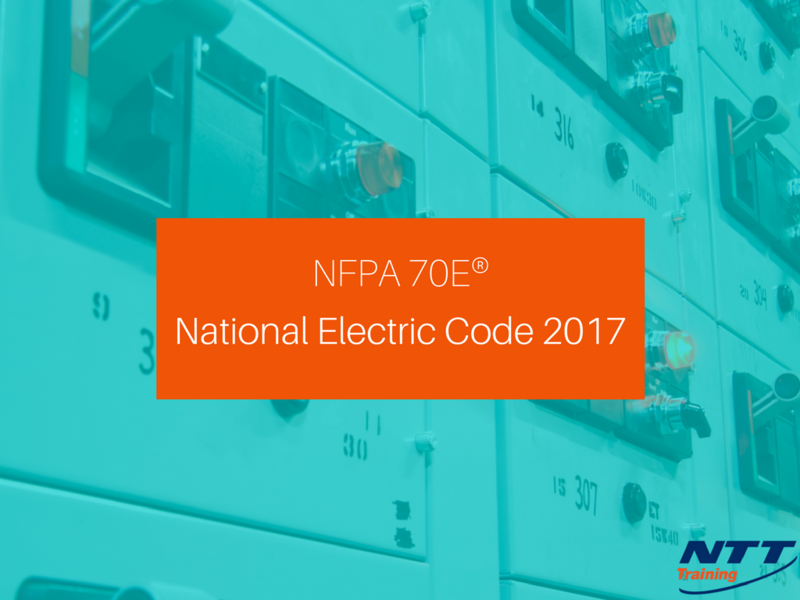 Ever since its birth in 1897, the National Electric Code been the source to turn to for guidance in electrical compliance in this country and around the world in residential, commercial, and industrial settings. Updated every three years, reviewing the NEC is continuous. Its publisher, the National Fire Protection Association, has a rigorous process that ensures it stays up to date as new technologies are developed. Hundreds of changes in the code, inspired by 1500 comments and more than 4000 public inputs, are contained in the NEC 2017, the latest version. NFPA, a global nonprofit, was founded in the latter part of the 19th century. They promote safety and eliminate property losses from electrical, fire, and other hazards, through the NEC. By continuously reviewing and revising the NEC over the decades, NFPA has ensured that safe standards are the norm nationwide, as NEC has been adopted in all 50 states. Some of the changes to the 2017 code encompass major advancements in privately owned solar power and wind generation and distribution equipment, as well as high voltage systems that might at one time have been under the direction of utilities. As these new types of energy contribute to energy decentralization, the consumer’s role has grown, so that NEC coverage may be necessary for engineers, designers, contractors, and the Authority Having Jurisdiction (or AHJ, which is the authority that must enforce the code or standard, or that must approve materials, equipment, installations, or procedures). Stand-alone systems (involves sources of power production standing apart from the grid, and includes wind-powered and PV systems). Direct current microgrids, which involve independent energy distribution networks. These networks, which are expanding in communities worldwide, permit power use from dc sources to direct-current loads. NFPA also made editorial changes involving the arrangement of the code and changes to definitions essential to the code’s application. Other changes restricted the scope of the code, so that it removed conductors, raceways, and equipment from the 2017 version. Additionally, it clarified that utility energy storage equipment would no longer be included. Revisions to the code were far ranging, applying to electrical installations, services, tubing, conduit, cables and switches, electrical lighting, appliances, electric space heating equipment, and many other electrical applications as well. Minimum space clearances for equipment installation make clearer the types of safeguards that should be in place to protect maintainers and installers. Labeling requirements, including detailed arc flash hazard warnings on equipment, help supervisors and workers assess electrical risks. Article 425 presents regulations for fixed resistance and Electrocode Industrial Process Heating Equipment. Provisions for AFCI (arc fault circuit interrupter) and GFCI (ground fault circuit interrupter) protection have been revised to improve electrical and fire safety in residences. While you can and should order a copy of the 2017 NEC, it’s a good idea to make sure you understand what you are reading. One of the best ways to do that can be by enrolling in an NEC 2017-themed class or seminar where an instructor thoroughly versed in the current code and the revisions is on hand to navigate through the regulations and answer any questions you might have. Whether your work involves public or private buildings, homes, or any kind of structure, or whether you work with outdoor lots and yards, installations connecting to power grids, utility equipment, or consumer-owned power generation equipment and systems, you need to be up on 2017 NEC to ensure you’re always in compliance and working safely. NTT Training provides a convenient opportunity in locations throughout the United States to learn about NEC 2017. Through its three-day course, it offers an introduction to the NEC, as well as navigation exercises and explanations of major changes. Besides this general training, NTT Training can also instruct your employees on specific industry applications. For any questions, contact NTT Training today.